Very quick update today on my Arkansas Traveler quilt. I finished the blocks! 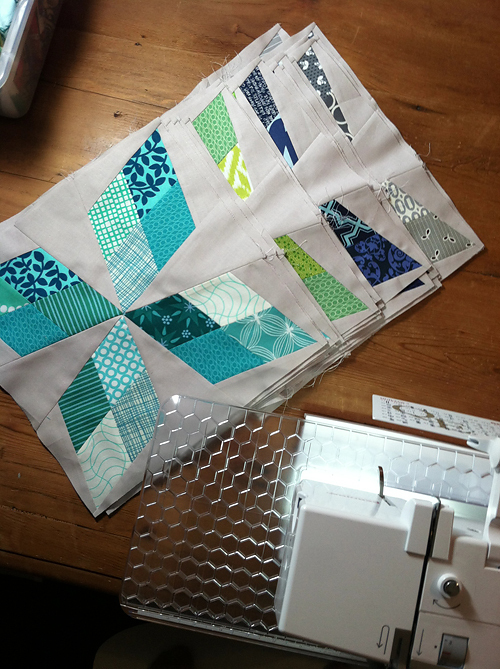 Sewing the four quadrants together for the blocks actually went pretty fast. I think it took about 2 hours to assemble 24 blocks. 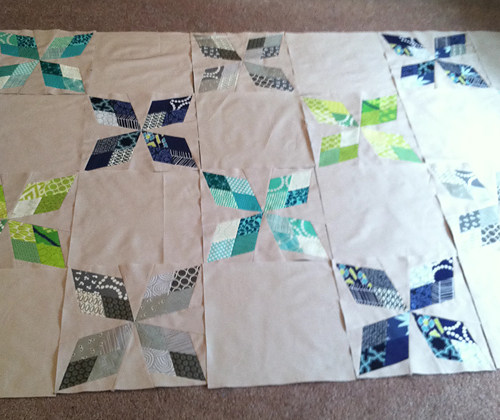 I've started laying out the blocks for the final top. Sorry about the bad phone photo! I still need to decide on a backing and order that, but things are coming right along!